Connect with the philosophy and methodology of nonviolence and explore its applications for your organizing and training work today. Participate in an online Beloved Community to support your growth and leadership. 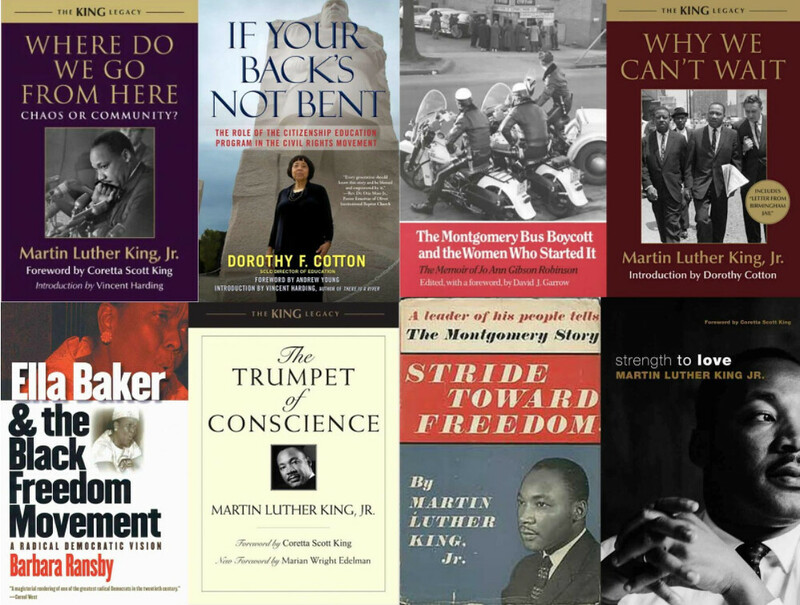 Join in nine 90-minute online sessions to discuss the writings of MLK and others who organized and led in each stage of the Black Freedom & Civil Rights Movement. This course is an opportunity for social change organizers and nonviolence educators who want to go deep in history and philosophy in order to reinvigorate your organizing and trainings today. This program builds on but does not require previous exposure to the Kingian Nonviolence curriculum authored by Bernard Lafayette, Jr., and David Jehnsen. Each content call focuses around one primary text book (5 by MLK and one each about Bayara Rustin and Dorothy Height). For each call, we also provide additional essays and chapters by and about women leaders in each phase of the movement. The fee is "$400+." With a justice perspective, please consider paying at a higher level if you are able, to make it possible to support our facilitators and other course participants. Please pay somewhere in the range of $1000-$500 if you are being sent by your employer or otherwise in a position to pay more, to support other participants who might not otherwise be able to participate. Context for cost: With multiple facilitators and tech support, this 6-month online course takes $8000 of labor to produce. After five years of providing this work at a volunteer level, the Kingian Nonviolence Coordinating Committee is trying to make these programs sustainable for providing leadership. We hope you will find it accessible, and that those who are able will stretch to help make the course succeed financially. If you would like suggestions or support for raising money to meet the course fee, please contact us at Kingian@OnEarthPeace.org. Each participant is expected to find their own copy of each of the major texts. All main texts are widely available in public and academic libraries, and used copies are available through major online booksellers. Some readings are also available for free online. The teaching team will provide digital copies of all additional chapters when the couse starts.